Khalid Mahmoud says: "try to see if you can come up with half of the charges"
Hello, I am Miss Young. I received this story from a friend in South America. Let me call him Cristophe. Dear Miss Young, I´ve been receiveing e-mails from a sir that says he is going to die in a short time because he has oesophageal cancer and that he earned some millions of dollars from a contract he had with Yukos oil, that he has them deposited in a security company in London, and that he wants me to receive those million kept in two trunk boxes to distribute them to charity organisations. I continued the game, I answered to his letter, and continued the story, he sent to me some papers, an Origin of the funds certificate, a Power of attorney, a Shipment airway bill, and a Certificate of deposit. I know that this is a scam, I even sent my Id to him, I sent him my drivers license that in my country is not considered an official identification document. By now I can send to you the emails that we received, the ones that we sent, and the documents he sent and the photographs. The name of this person is Khalid Mahmoud. Subject: From Mr. Khalid Mahmoud. Please i do need your assistance. my present over view of life and the meaning of life itself as it relates to day-to-day living. Even surgery which is a last resort has been done but the cancer has already spread into the stomach and intestines. due to my failing health. 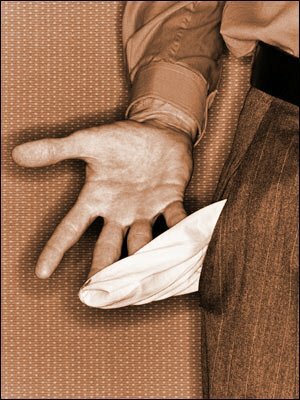 capable hands for disbursement. Other such funds that I left to my relatives to disburse to charity organisations were all plundered and used for their personal purposes. For this reason I have decided that within the confines of my hospital room and the privacy of my computer (to which I have internet connection) to look for a suitable person to transfer ownership of the deposit to, and after claiming the money, disburse 80% of the $18, 000, 000, 00 to various charitable organizations of your choice in various countries and then retain 20% of the money for your effort. $18 million dollars is the bulk of what is left. have worked and lived for. mind to donate the money to. to discuss the terms of releasing the funds to you. ready to proceed under these terms. details, full names,phone and fax numbers as well as your address. Thanks for your response.I would want you to take this transaction very serious because my situation here in the hospital is very bad. I will attach to this email the origin of the funds i deposited in a security and finance company in London. I will send the CERTIFICATE OF DEPOSIT & SHIPMENT AIRWAY-BILL that you will use in contacting the security company to release the funds to you as soon as possible. London and i deposited the funds as personal effects & family treasures. I have told the hospital's attorney to help you prepare the POWER OF ATTORNEY that will cover you as the beneficiary to the trunks. 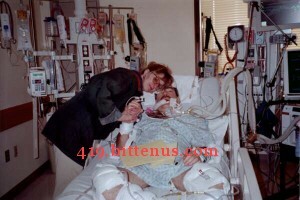 As soon as the hospital's Attorney prepares the POWER OF ATTORNEY that will cover you as the beneficiary to the trunks i will scan and send it along with the CERTIFICATE OF DEPOSIT & SHIPMENT AIRWAY-BILL so that you can go ahead and contact the security company for the release of the funds to you. I cannot call you on phone for now because of my present situation but i can manage to type email and send to you so that you can contact the security and finance company regarding the release of the trunks to you. I will be expecting to hear from you as soon as you get this email so that we can proceed with the transaction,thanks and have a nice day. How are you doing today?hope fine.I have attached to this email the POWER OF ATTORNEY and the CERTIFICATE OF DEPOSIT & SHIPMENT AIRWAY-BILL this documents will cover you as beneficiary to the funds and it will enable you contact the security company. I want you to understand that i deposited the trunks as personal effects & family treasures so please do not disclose that the trunks contains funds until you are able to claim the trunks. ATTORNEY when they ask for the documents. Please after sending an email to the security company do call Mr. David Walter, tell him you are the beneficiary to the trunks deposited by Mr. Khalid Mahmoud and that you want to claim the two trunk boxes. Contact person: Mr. David Walter. I would want you to let me know as soon as you talk with Mr. David Walter. Thanks for your mail.keep me posted as soon as you hear from the security company.i hope you sent it to the right address of the security company? TEL: +44 7031838703, +44 7031971808. FAX: 447005980463. We write to confirm that the deposit of Mr.Khalid Mahmoud is in our custody, be informed that you will be required as the beneficiary of the deposit, of Mr.Khalid Mahmoud, two trunk boxes. You are requested to provide this office with the following requirements and documents, to ensure that you are the sole beneficiary of the deposited boxes declared to us as (FAMILY TREASURES AND PERSONAL EFFECT) so that the deposit can be released to you. custody.Ensure to send to us the requested documents and proof of identification for record and safety reasons. 1. A valid proof of identification (passport or drivers license). 2. Copy of the Certificate of Deposit and Power of Attorney and Airway-Bill. 3. Telephone and fax number. 4. we require to know your age. 5. State your contact address. We also want to inform you that there are some charges e.g., CUSTOM AND CLEARING,AS WELL AS ADMINISTRATIVE CHARGES which are needed to be paid before the release of your consignment two trunk boxes deposited with us. However for now we cannot tell you the total cost, we have to contact the Accounting Department to put the total sum together, and then we will get back to you as soon as we have the actual cost of the charges. For any clarifications, do endeavour to contact Mr. David Walter.we wish you a pleasant day while thanking you for your understanding. K.V.K NO: 33269407 Principles: Johnson Dekker, George Mendel, Rudolf Van Doorn,Maggie Flynn. I must let you know how i feel knowing you have sent to the security company what they need from you,that show you are a very kind person.may God reward all your effor to help me and humanity. Well lets wait to hear from the security company what the charges are. Please let me know as soon as you get a response from them. RE: UNCLEARED CONSIGNMENT DEPOSITED IN YOUR FAVOUR. We are writing to acknowledge the receipt of your documents and proof of identity; we have compared all your documents and confirm that you are the sole beneficiary of the consignment two trunk boxes that is in our possession. 1 You will be required to visit our office for the claim of your consignment and you are requested to come with the documents that you have in your possession. 2. The United Kingdom Government tax, custom clearance,administrative and handling charge fees of Four Thousand, Five Hundred and Twenty pounds (4,520.00 pounds) only, payable in cash prior to the signing/endorsement of the consignment release documents. Note that the charges are custom clearance,administrative,and handling charges,that was paid to the United Kingdom customs to claim your consignment when it arrive London before it was release to our firm for safe keeping.After payment of the charges stated above a receipt for payment will be issued on your behalf with consignment release NUMBER,your consignment(TWO TRUNK BOXES) will be release to you immediately in our office. After the release of your consignment to you if there is any assistance, that you which we can render to you, please after you must have receive your trunks do not hesitate to inform us, our customers satisfaction is our pride. in place for hitch-free delivery of your consignment. We await your immediate response, while we thank you for your patronage as we assure you of our professional assistance.Kindly confirm the receipt of this message. K.V.K NO: 33269407 Principles: Johnson Dekker, George Mendel, Rudolf Van Doorn, Maggie Flynn. Have you heard from the security company,do let me know. Am anxiously waiting to hear from you. I have just received your mail and read through it.i quite understand your position here and i know you are a very busy person.well i will want to advice you that,in the case where you cannot travel to london because of all the expenses that will be incured,do suggest to the security company if they can deliver the trunk boxes to you in South America and also ask them how the charges are going to be sent across to them without you coming over to london.i think that will help us a whole lot or what do you think? The amount here is quite big but i will plead with you in case you get a response from the security company to please do all you can to get the trunk boxes to you in due time so as not to delay this process,if it means borrowing i promise you will have enough money to cover for all you have spent as a result of this transaction. At this junction i will like to remind you that the content of the trunk boxes was not made known to the security company,i deposited the trunks as FAMILY TREASURE AND PERSONAL EFFECT.in the trunk boxes contains 18million dollars so you have to keep this to yourself until the trunk boxes are in your possession. Cristophe,i would have helped in the payment of this charges but i must be very sincere with you i have no more access to money because of my health problems so please Cristophe help me do all you can to get the trunk boxes from the security company and distribute this funds to the charity home of your choice and have your 20% for your help. Please immediately you receive this mail do go ahead and get across to the security company with what i have suggested since Mr David Walter has booked an appointment for you on monday 21st so we could work with time and get this transaction done with soonest.please get back to me immediately,i will be waiting on here to hear from you. May the good lord help and keep you safe. I read your mail with a great shock,well i really quite understand what you are going through but please you have to understand that i have already put you as the sole beneficiary to the trunk boxes and all the document now carry your informations.i know the charges are much but i know we can get this all done with.the charges we are paying for the release of the trunks covers all the shipping expenses and you will not be paying anything more since i have paid all charges needed to be paid when i deposited the trunk boxes with the security company.the delivery of the trunk boxes will be taken care of by the security company so you dont have nothing to worry about. Cristophe i still believe in your ability to help me get my trunk boxes out from the security company and distribute them to charity organization. Please what i want you to do for me now is to let me know how much you can raise out of the charges needed to be paid so that i can plead with the security company to accept that from us that we would be paying the other part as soon as the trunk boxes gets to you in South America. I want you to know that am not hiding anything from you since i know you are a God fearing person with a kind heart to help the less priviledge,i will attach to this mail the scanned copy of the content of the trunk boxes before i deposited them with the security company.please delete the picture as soon as you finish viewing them,they are for your eyes only. Please Cristophe my health is getting worse by the day and i cannot start looking for somebody else to help me in this process so please try do all you can to help me fullfil this wish of mine so i can have rest when am gone. Please let me know what you can come up with now so that by next week,the trunk boxes must have been in your possession.i will have to mail the security company as soon as i get a response from you and i know they will assist us since i have been their client for years now. Am here waiting for your mail. NB:this time you will not let the people down that i promise you. Thanks for your mail and i feel very bad knowing you will be disposing your car for this process.i dont know what to say.well i know you will not regret helping me out in the transaction. I know you have really tried as regards raising this amount but i will have to still plead with you to see if you can make it half the charges so that the security company will know that we are really serious in getting the trunk boxes from them.but if you still cannot come up with half of the charges then i can plead with them with the 2,000dollars we will be having. I really thank you for the great help you are rendering to me and to humanity. Please do try to see if you can come up with half of the charges or not so i can proceed to plead with the security company. I was wondering if you got my last mail to you,please let me know what you can finanlly come up with so i can write to the security company immediately. I was wondering if you got my last mail to you,please let me know the situation of things so i can mail the security company as soon as possible. How are you doing today?hope fine i guess. I was wondering if you got my last mail to you,please do let me know what is happening am so worried not hearing from you. We really have to have this transaction done with because my health is getting worse by the day. Please write me so we can proceed please. WHAT IS HAPPENING,I HAVE NOT HEARD FROM YOU IN A WHILE NOW,PLEASE WRITE ME TO LET ME KNOW WHAT THE SITUATION IS WITH YOU SO WE COULD PROCEED. Subject: From Mr Khalid Mahmoud. I have just sent an email to the security company letting them know what we can com up with.please when you get a response from them do let me know. Am in receipt of the mail we got from Mr Khalid Mahmoud.well we have assured him we will be helping him because he has ask us to collect 2,000dollars from you that on delivery you will pay us the balance charges. As regards this,you will be required to send to our office through western union money transfer with the information of our duty officer on ground. 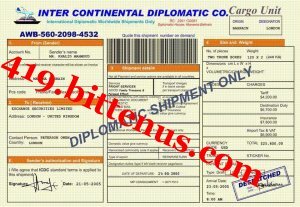 As soon as we receive this payment your consignment (2 trunks) will be delivered to you in 24hrs via diplomatic means. What is happening?i have written you a whole number of mails still no response,i hope you are doing fine.please let me know if you still want to assist me so i will no know what next to do. Dear Miss Young Ive sent all the emails that were sent from this man, I sent them in order to let you see how things happened, what fake documents he sent and the story that he was telling. Khalid finally stopped emailing Cristophe.